Born in Albuquerque, NM, a native of Littleton, CO, and a 1999 graduate of Columbine High School, Hospital Corpsman 2nd Class Charles Luke Milam enlisted in the Navy in 1999. He began his career as a Hospital Corpsman, joining MARSOC in 2006, the same year the unit was formed. HM2 Milam deployed in support of both Operations Iraqi Freedom and Enduring Freedom. During his second deployment to Iraq, HM2 Milam was wounded in action while on a combat vehicular patrol and was awarded a Bronze Star with combat V for his actions. 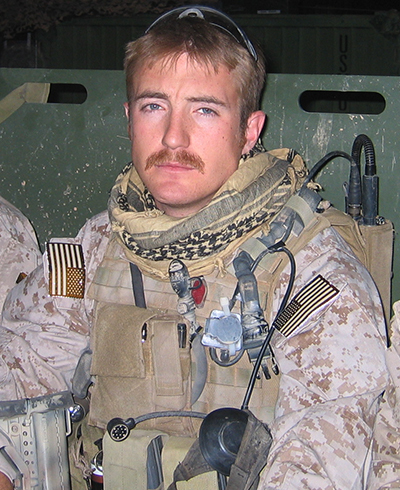 HM2 Milam was a black belt in the Marine Corps Martial Arts Program and was selected MARSOC Operator of the Year for 2006 and MARSOC Medic of the Year for 2007 (posthumously). HM2 Milam was on a motorized combat patrol with Golf Company, 2nd MSOB in the Helmand Province when his vehicle was struck by a rocket propelled grenade, killing him and injuring four others. HM2 Milam’s personal decorations include the Bronze Star with combat V and gold star in lieu of second award, two Purple Hearts, two Navy-Marine Corps Achievement Medals, two Combat Action Ribbons, and two Good Conduct Medals.